While you may be familiar with other regions we’ve written about in this series like the Adirondacks, the Catskills, and the Finger Lakes, there’s a chance you’ll be a pioneer among your friends as you explore the westernmost region of New York. You’re in the right spot, because we are revealing some of the region’s best secrets. In fact, the name Chautauqua is actually a secret itself. It’s said to be from the long-forgotten Erie language of the Erie Iroquoian people, but no one alive today knows what it means—or if they do, they’re better at keeping secrets than we are. More to the National Comedy Center than meets the eye! If you’ve been following I LOVE NEW YORK lately, you know how excited we are about the National Comedy Center that opened up in August 2018. While we’ve shared a lot already about the world-class comedy experience in Jamestown, we have even more secrets to spill! 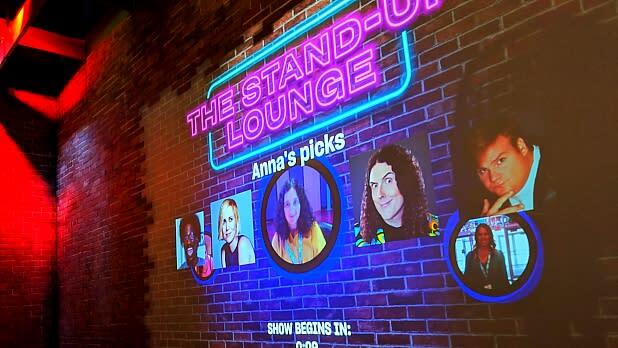 For example, there’s a secret-ish “Blue Room” hidden away in the basement of the Center, showcasing “raw and uncensored” humor, that you must be 18+ to enter. If you need fresh air after laughing your lungs out, there’s a park behind the Comedy Center with picnic tables, a bridge, and vintage train tracks—the Comedy Center building used to be the Jamestown railway station. 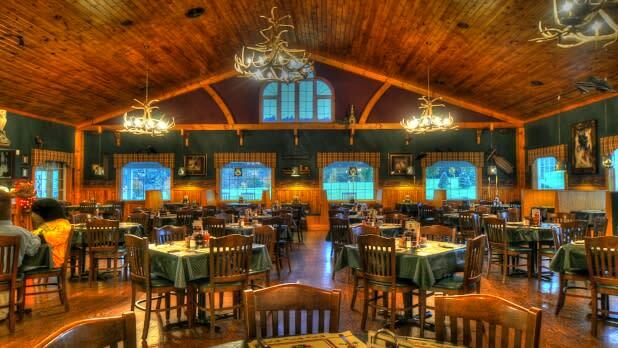 Maple lovers can meet their maple match at Sprague’s Maple Farms & Restaurant. You want maple custard? Check. Maple sausage patties, maple-cinnamon applesauce, maple-walnut cream cheese, maple whipped cream, maple granola, maple-glazed cinnamon roll, maple barbecue ribs, maple-glazed salmon, maple sirloin steak, maple Chardonnay? Check x10, and we could go on. Put your best stomach forward with their all-you-can-eat pancake policy, just ask for more when you’re finished! Celebrate maple season in the spring with tree-tapping demos, sugar on snow, and tours of the facility (call ahead for availability). Kids can be tough art critics. After all, if they can’t touch it or play with it, what’s in it for them? 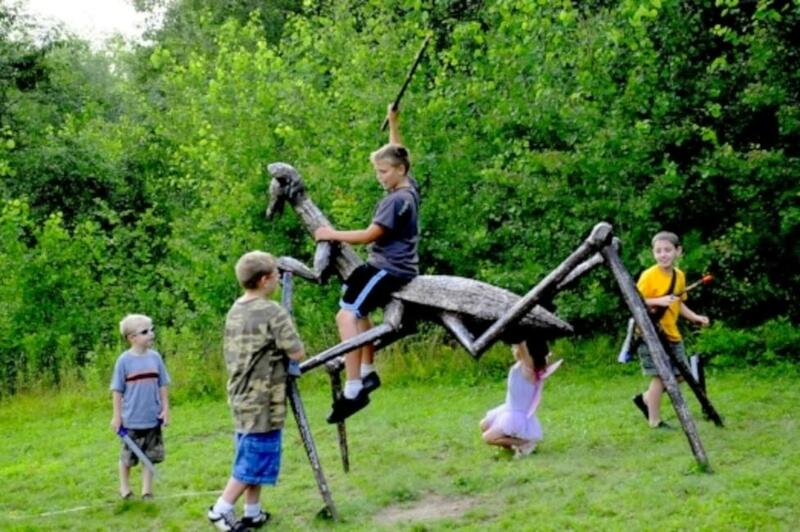 If your crew is itching to get more interactive with their cultural experiences, Griffis Sculpture Park is the perfect destination. 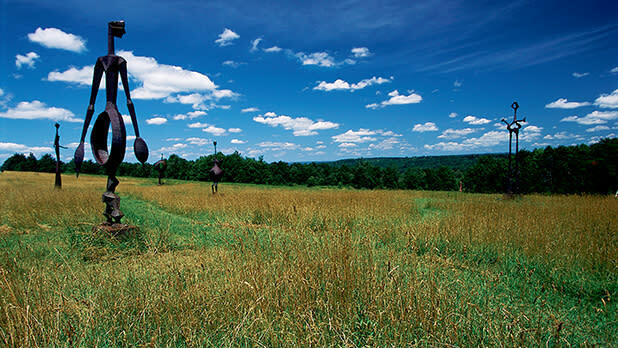 There are more than 250 large-scale sculptures among miles of hiking trails and 400 acres of land and the kiddos have free reign to touch, play, and climb. But this is definitely not just a high-brow playground, the art and nature are key here. Each piece has been placed with the spectacular surrounding views in mind. Since New York State loves haunted attractions, we had to include Dunkirk Historical Lighthouse and Veterans Park Museum on this list. 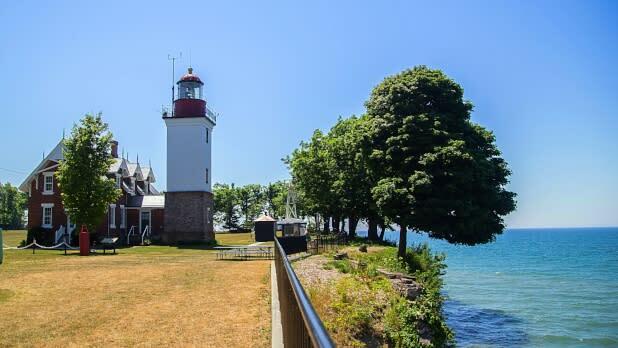 If you are not into or are ambivalent re: ghosts, you’ll still enjoy the seasonal (May to October) daytime tour of this 1875 working lighthouse and the military artifacts of the museum. The original Fresnel lens (from a previous lighthouse at the location in 1857) is still in use, one of just 70 in the United States. Plus the history of the shipwrecks and the lighthouse’s association with the War of 1812, the Civil War, and WWII is interesting. But if you’re looking to be spooked, sign up ahead of time for special evening ghost tours of the lighthouse, complete with history, ghostology, and an interactive paranormal investigation. A wine region with all the accolades! Lake Erie Wine Country is not only the oldest and largest Concord-grape-growing region in the universe (unless there’s something on Mars we don’t yet know about), it’s also the largest grape-growing region in the country east of the Rockies. Visit 23 wineries in Lake Erie Wine Country, including Liberty Vineyards & Winery, Mazza Chautauqua Cellars/Five & 20 Spirits & Brewing, and 21 Brix Winery. 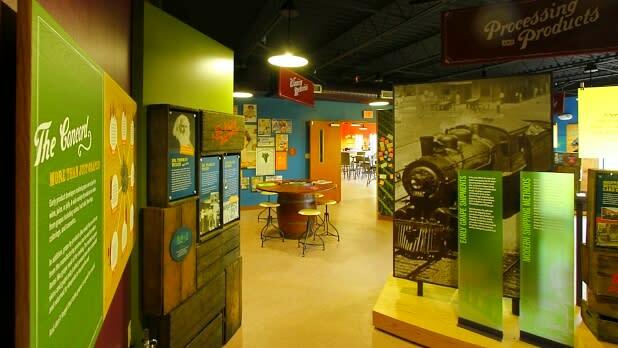 Make sure to stop by the Grape Discovery Center to learn more about the science and 150-year-old history behind it all—kids can play along by sampling grape juices. Chautauqua Institution in the off-season! While the season at famed Chautauqua Institution (a center and resort for all things cultural and educational) is short (just nine weeks each summer! ), you may not be aware that you can visit the gorgeous grounds for free during the off-season. 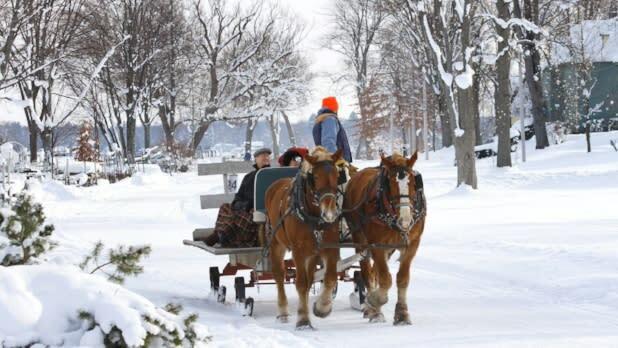 If you’re around between Black Friday and New Year’s, catch the CHQ Winter Village with horse-drawn carriage rides, visits from Santa, crafts, holiday music, shopping, and more. Here’s a guide to what shops, dining, and spas may be open during your visit. Two particularly scenic spots on the grounds are Thunder Bridge and Palestine Park—a to-scale replica of the Middle East with Chautauqua Lake acting as the Mediterranean. Famous folks beyond the love for Lucy! While Jamestown’s Lucille Ball gets a lot of attention with the Lucy-Desi Museum, and not one but TWO statues of her in Lucille Ball Memorial Park, there are many other hometown heroes to celebrate. Visit the Robert H. Jackson Center to learn about the former US Supreme Court Justice who presided over important trials like Brown v. Board of Education and the Nuremberg trials and the importance of equality, fairness, and justice in our courts today. At the Roger Tory Peterson Institute of Natural History, view the collections of the famous naturalist and learn about ongoing conservation projects. The creator of comic strip Marmaduke, Brad Anderson, is honored by a statue (of him AND the Great Dane) in the town of Brocton. A museum honoring the Seneca-Iroquois! 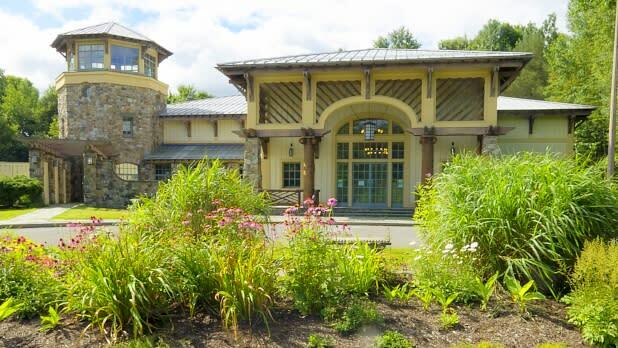 The National Comedy Center wasn’t the only big opening in Chautauqua-Allegheny in August 2018, the Seneca-Iroquois National Museum opened its doors the same month in Salamanca. 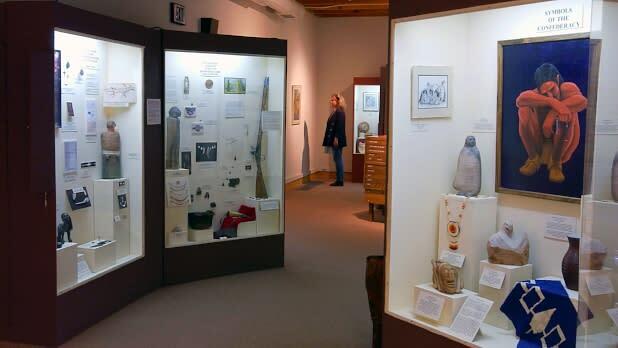 The museum’s permanent exhibits include rooms showing what it is like to live in a log cabin and a longhouse, one giving thanks to birds and animals on the earth, and “This Is Where We Walked,” about the loss of Ohi:yo’ land as recently as the 1960s due to the building of the Kinzua Dam. 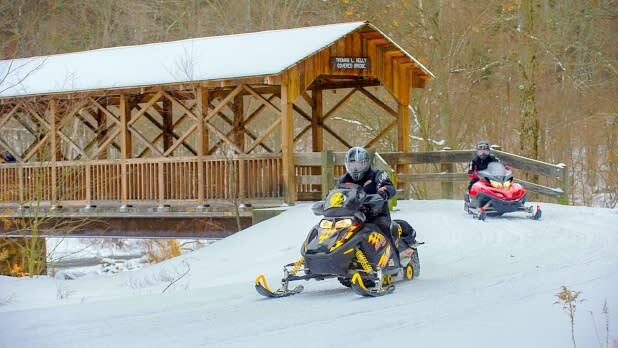 More than one-third of the spots to drive a snowmobile in New York State are within Chautauqua, Cattaraugus, and Allegany counties. Try this sport out in more than a dozen NYSDEC forests like Cold Creek in Centerville, Coyle Hill in Belmont, and Phillips Creek in Alfred Station or head to Allegany State Park to find 90 miles of trails, including one that conveniently leads to the Seneca Allegany Casino & Hotel if you need to warm up after your adventure. 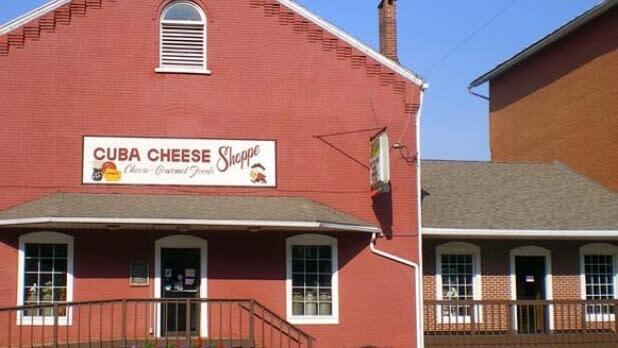 A town known for its cheese! If you’re as into cheese as we are, you’ll want to stop by the small town of Cuba, where its history of dairy and cheese production shines through today. There, sample local cheeses as well as some from around the world at renowned Cuba Cheese Shoppe and visit the Cuba Cheese Museum to learn about cheese production, history, and equipment from back in the day. If you’re in town in September, don’t miss the Cuba Garlic Festival—because garlic and cheese, like you and Chautauqua-Allegheny, are a perfect match.